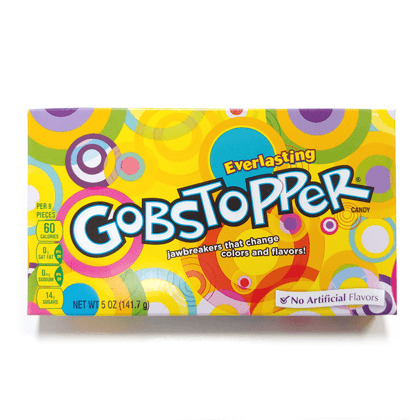 Wonka's Everlasting Gobstoppers in a theater box. 5 oz. 1 box.